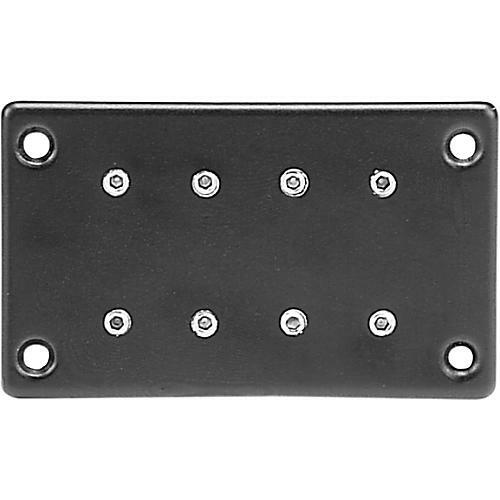 Originally designed as a direct replacement for Gibson EB series neck pickups, the DiMarzio Model One Bass Humbucker Pickup has found new life as a woofer/tweeter in multi-pickup bass setups. By combining the Model One with Split P, DiMarzio Model P or DiMarzio Model J pickups, you can effectively turn your bass into a woofer/tweeter setup with on-board control of sonic extremes. By sending the Model One to a rig with an 18-inch speaker cabinet and plugging the other pickup's output into your regular gear, you have the makings of a sound with earth-moving bottom and crisp, transparent high-end. What's that sound like? Check out Billy Sheehan. It's the monstrous sound he's pioneered that's made Rock shake for years.